More than 100 years ago, hunters nearly wiped out the Gulf of Maine’s Atlantic puffins. Climate change may finish the job. Hunters killed the last Atlantic puffin on Seal Island, off the coast of Maine, in 1887—perhaps for food or for feathers to adorn a lady’s hat. The death marked the end of the colony on this narrow squiggle of granite and grass that once nested hundreds of these charismatic birds. No good estimate exists for the number of Atlantic puffins in North America before Europeans arrived, but 300 years of hunting killed most of the birds in Maine by the end of the 19th century. Flourishing colonies on six islands were reduced to just four birds—two breeding pairs that held out on remote Matinicus Rock. A small colony survived there until help arrived more than 70 years later. In 1970, Stephen Kress, then a budding scientist in his mid-20s, drew up plans for an improbable scheme: to reintroduce the Atlantic puffin to its former range. Kress knew that puffins return from winters at sea to nest where they were born. He figured that by transplanting eggs from a large existing colony in Newfoundland to Maine, the fledglings would become attached to their new home. Puffins, however, are not prolific breeders. Since they don’t reach sexual maturity until they’re close to five years old, and females lay only one egg each year, the effort would take time. Success came slowly. Now in its 45th year, Project Puffin, a program of the National Audubon Society run by Kress, has brought the puffin back to the Gulf of Maine. More than 2,000 Atlantic puffins now nest on five islands, including at least 1,000 on Seal Island. Kress discovered early on that restoring and maintaining the budding puffin colonies would require extensive hands-on management. His team set up field camps, built bird blinds for researchers, and chased off the great black-backed and herring gulls that would otherwise enjoy puffin eggs for breakfast. But today, Maine’s puffins are under threat once more. And there’s little that Kress can do to avert their plight. The Gulf of Maine is warming faster than 99 percent of the ocean, an oft-cited statistic from a 2016 report. Nick Record, an ecologist at the Bigelow Laboratory for Ocean Sciences who worked on the report, says his latest research suggests the reality is more dire. The water coming through the Northeast Channel is actually warming twice as fast as was reported in 2016, Record says. The Northeast Channel is where deep-ocean water enters the Gulf of Maine. It sits at the intersection of the warm Gulf Stream and the cold Labrador Current, which together feed a massive ocean circulation system known as the Atlantic Meridional Overturning Circulation (AMOC). Another coauthor of the 2016 paper, Andrew Thomas, an oceanographer with the University of Maine, recently analyzed seasonal shifts in sea surface temperatures in the Gulf of Maine. “The summer months are warming much faster than the winter months,” he says. From Cape Hatteras, North Carolina, to the Bay of Fundy, Thomas discovered that summer-level temperatures are persisting for an extra two days every year. 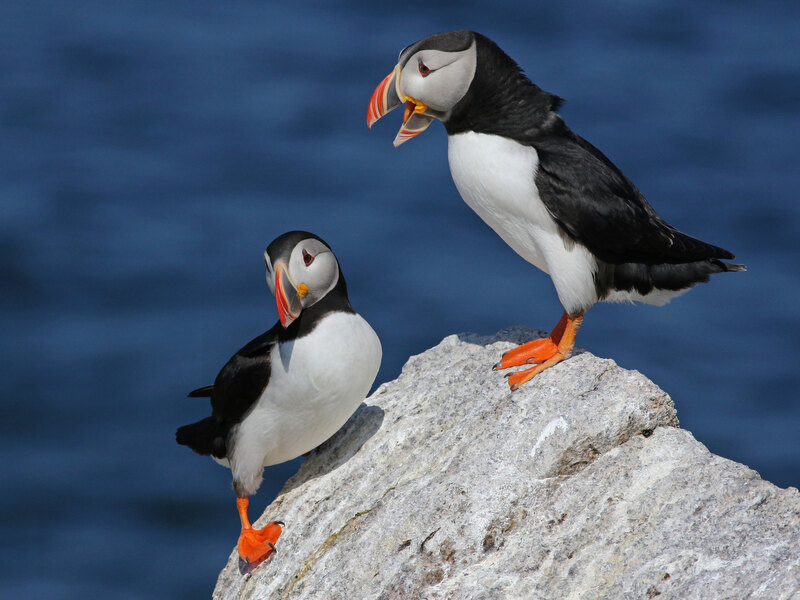 Warmer conditions cause Atlantic puffins to lay their eggs later in the season. It also changes the abundances of forage fish, such as herring, that are available to feed the chicks. In recent warm years, chicks have been fledging underweight, Kress says—few will survive a brutal winter at sea. Conditions can change from year to year. In 2017, the Gulf of Maine was unusually cool. On Seal Island last summer, 80 percent of fledglings were successful—a boon that belies the difficult years to come. But annual variations aside, the long-term trend is clear: Atlantic puffins, like other seabirds in the region, are not expected to adjust to ocean warming. Thomas predicts that this summer will be exceptionally warm. Kress seems determined to put his head down and focus on the things people can control: protecting the puffins from predators, humans, and the overfishing of herring. But there are many factors he can’t control—and that includes climate change. 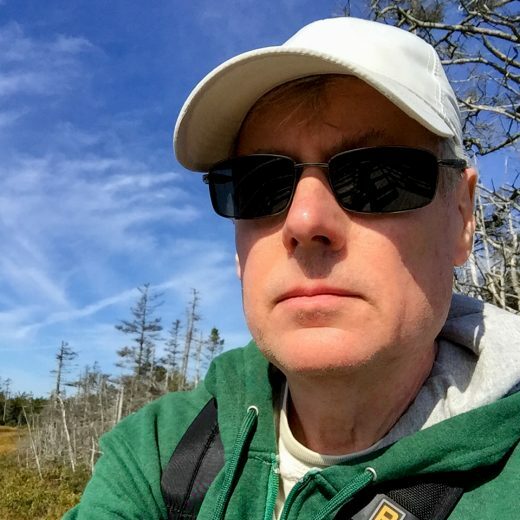 Dan Zukowski is an environmental writer and photographer based in coastal Maine, with a focus on the Arctic, oceans, and wildlife. His byline has appeared in Sierra magazine, EcoWatch, and EnviroNews, and his photography has been included in gallery shows in Los Angeles and New England. He enjoys art, hiking, baseball, and travel. Cite this Article: Dan Zukowski “The Fall, Rise, Fall of the Atlantic Puffin,” Hakai Magazine, Jun 27, 2018, accessed April 23rd, 2019, https://www.hakaimagazine.com/news/the-fall-rise-fall-of-the-atlantic-puffin/. Hunting and eating puffins are Icelandic traditions. But for how much longer? New research gives a glimpse of the potential long-term consequences of anthropogenic warming.